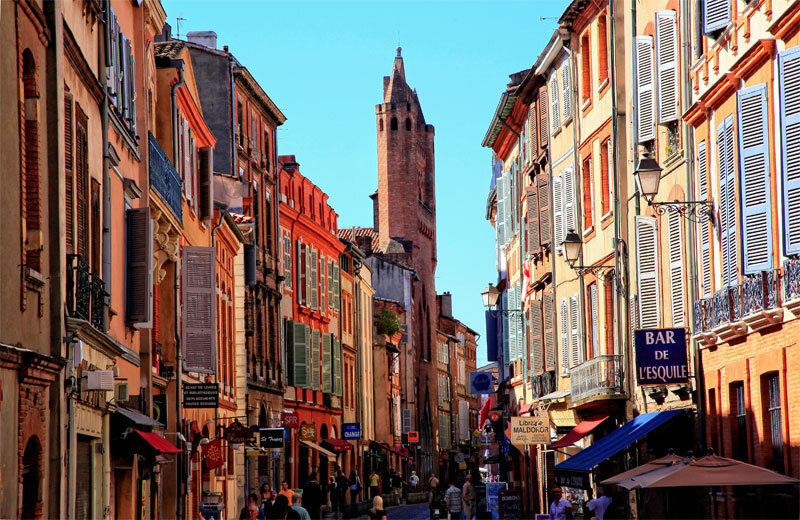 Toulouse has loads to offer visitors of all ages with some truly outstanding museums and activities – who can resist a go at moon walking!? Architecturally splendid, gastronomically gifted, the sunny city is a terrifically tempting destination. 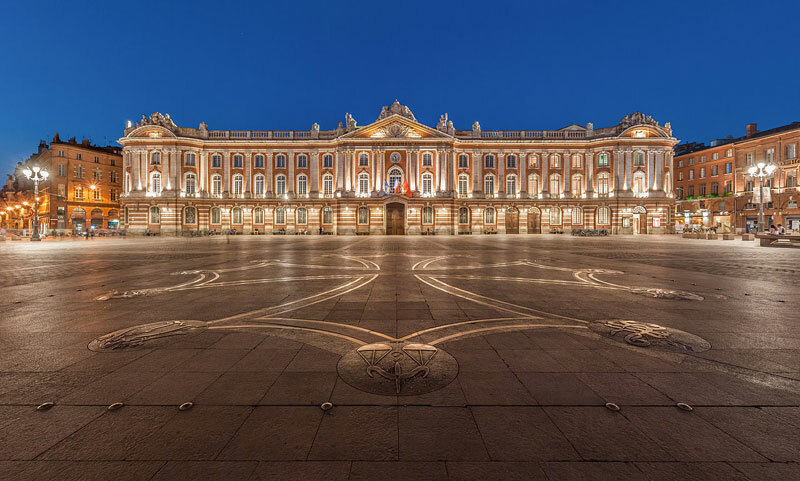 The Place du Capitole is the beating heart of Toulouse. Located in this immense square is a magnificent building, remarkable for its façade with eight pink marble columns which houses the town hall and the opera house. Pop in and oggle at the Salle des Illustres with its spectacular 19th century paintings on the ceiling and walls, as well as the magnificent historical rooms of painters Jean-Paul Laurens, Henri Martin and Paul Gervais. Channel your inner spaceman and try your hand, or rather your feet, at moon walking. 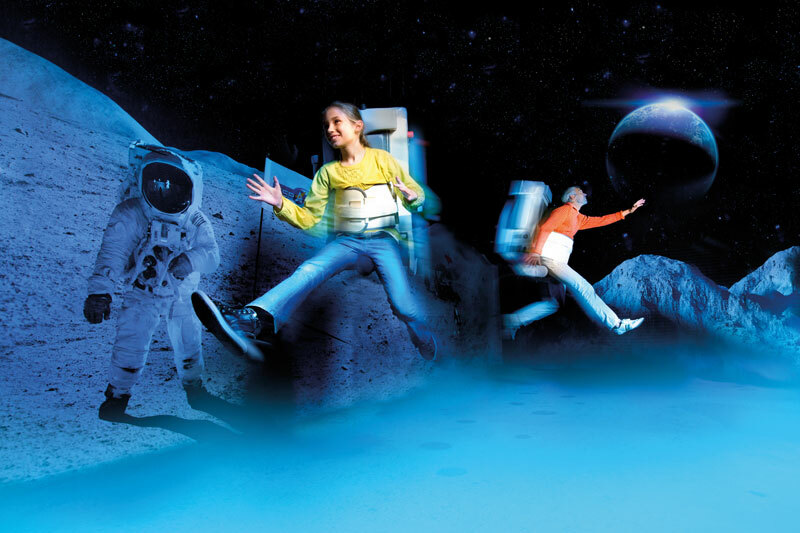 Try out the moon gravity simulator at this fascinating Cite de l’Espace adventure park which spans an incredible 5 hectares. Wonder at the stars, climb a full-size rocket and much more in Europe’s premier astronomy and space science culture centre. In the summer each Thursday evening, listen to the fireworks pop at Cite de l’Espace next to the Ariane 5 rocket. The late-night opening also allows for a spot of star gazing through telescopes located for use in the park. Visit the Aeroscopia museum where you’ll discover a unique collection of more than 30 legendary planes. There are two iconic Concordes, a Super Guppy and the A400M plus tons more. Toulouse is the birthplace of global civil and military aviation, and Aeroscopia perfectly represents its rich aviation heritage. 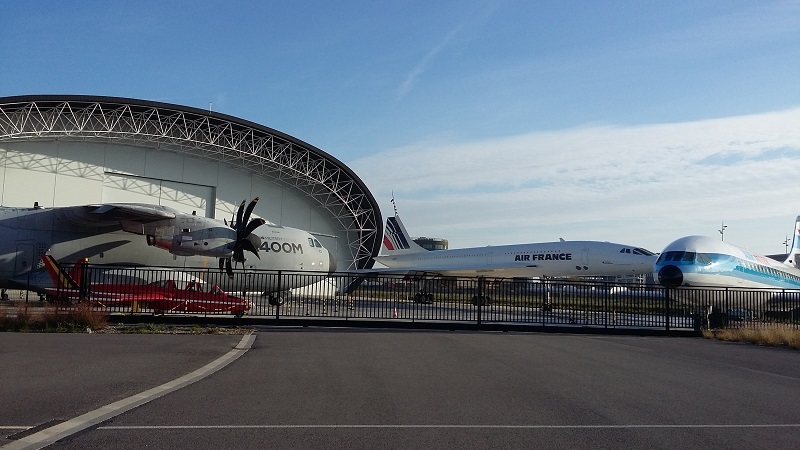 It’s a great way to get up close to some legendary planes Take the tram (line 1) to the museum in Blagnac, about 45 minutes from the centre. You can take a tour in English as well as thematic tours such as military aviation and Concorde. Get in touch with Toulouse’s secrets. Take a walking tour with the tourist office to discover the city’s hidden art and architectural gems. 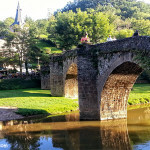 Cross Pont Neuf and discover the cosmopolitan district of Saint-Cyprien. In this vibrant district you’ll find the Passerelle Viguerie, a 140m long walkway above the water alongside the Hopital de la Grave. The views will give you goose bumps. 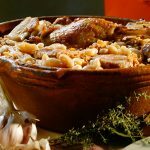 There are plenty of little restaurants with a Bohemian ambiance, a covered market and popular bars. Weave your way through narrow cobblestone streets and small squares in the town centre and discover the Saint-Étienne quarter. 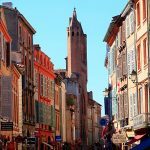 Also known as the antique dealers quarter, this charming area is brimming with secret and quirky charms, crowned by Saint-Etienne Cathedral. 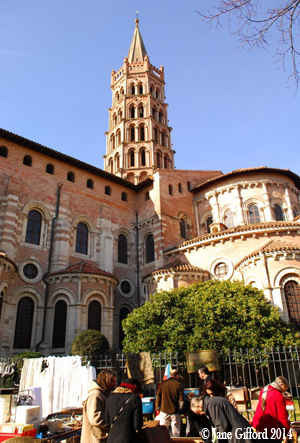 Toulouse tourist office organizes an English language city tour “Great monuments of Toulouse” every Saturday afternoon. In the city take a tour to discover 2000 years of history. Go by Segway, petit train, tram, open top mini bus, on foot, by bike or metro. Discover the iconic monuments and beautiful coloured buildings that give the city its name “la ville rose”. There are numerous fabulous sites such as the ancient Jacobins Convent. Discover the beautiful Saint-Sernin Basilica which has been lavishly renovated revealing the full glory of its medieval frescoes and murals. Don’t miss the Hôtel d’Assézat a magnificent 17th century town house which houses the Fondation Bemberg a private museum with a spectacular collection of paintings and objets d’art. Known as the pink city because of its many red brick buildings Toulouse is great for a bike tour. Bikes and tandems can be rented at La Maison du vélo, located on the banks of the Canal du Midi – a good starting point. Top tip: Pick up a “Pass de Tourism” at the tourist office to use public transport and get entry to a whopping 55 attractions.